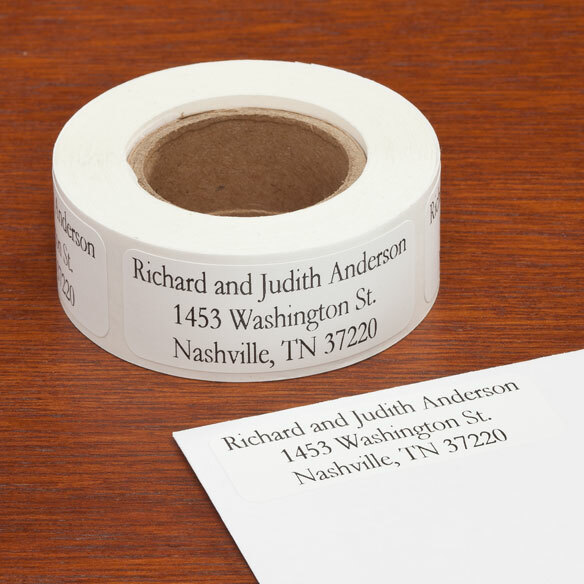 Personalized large print address labels feature an easy-to-read, extra-large font. 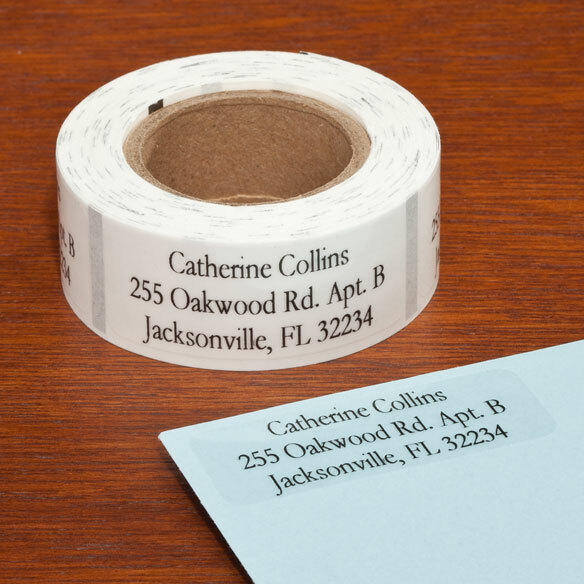 Simply unroll return address labels, peel and stick to conveniently mail letters, rebates and more. Personalize up to 3 lines, 30 characters each. BONUS free label-dispensing box included. 4 choices: white, clear, gold, or rainbow set of 5 colors. 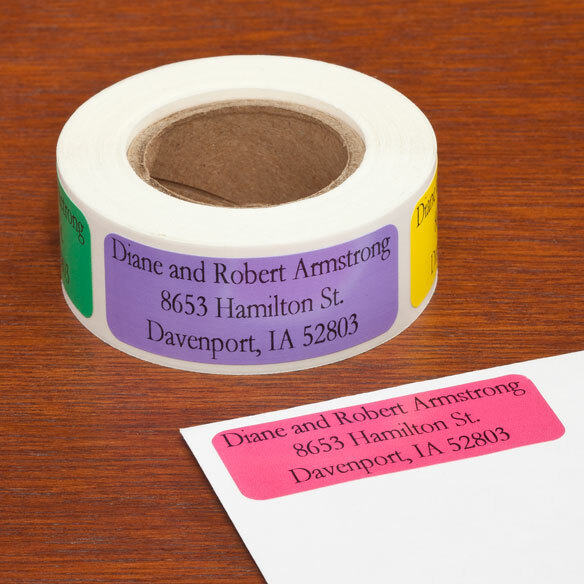 Set of 200 personalized labels; each 2"W x ¾"H.
Many people, including us, need large print. I wish more items were printed in larger letters. It was large print for my elderly mother. Price was good. Just moved recently and need these labels to tell of the move. so much easier than writing. I have moved and thus all my old address labels are no longer of any use to me and I miss them. Love anything multicolored so the choice of "rainbow" was just right for me. 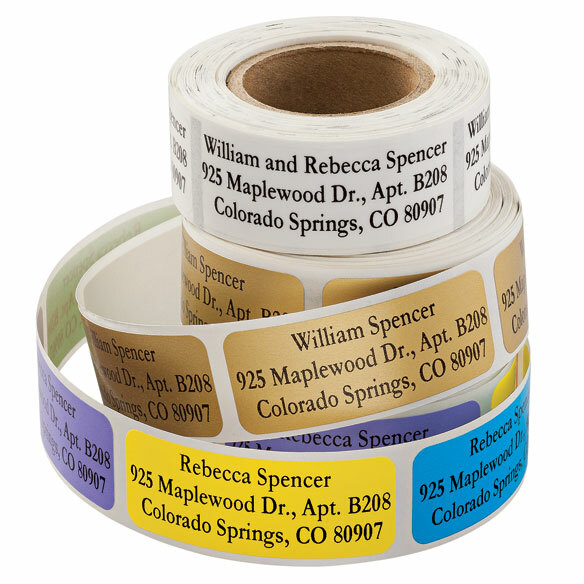 Large-print labels are easy to read! The label only offered 3 lines for the address. 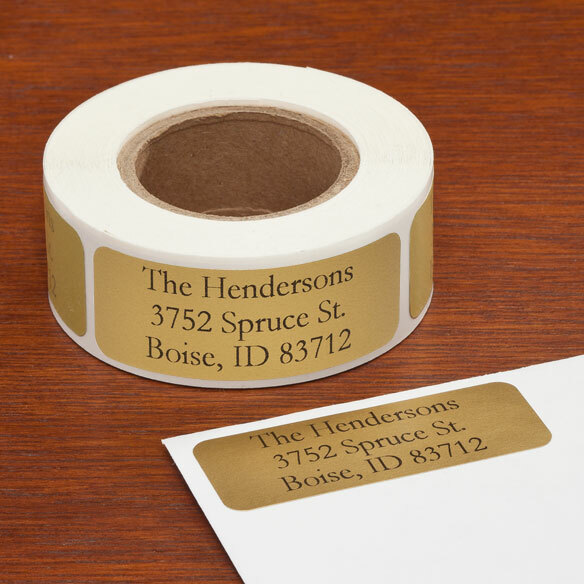 Address labels always come in handy.